Day 1 of the Marketo Marketing Nation summit kicked off this Monday in San Francisco to the excitement of marketing teams the world over! The overarching theme of this year’s event, “The Fearless Marketer” – daring to be innovative, bold, and ready to take on new challenges in an ever-changing digital landscape. 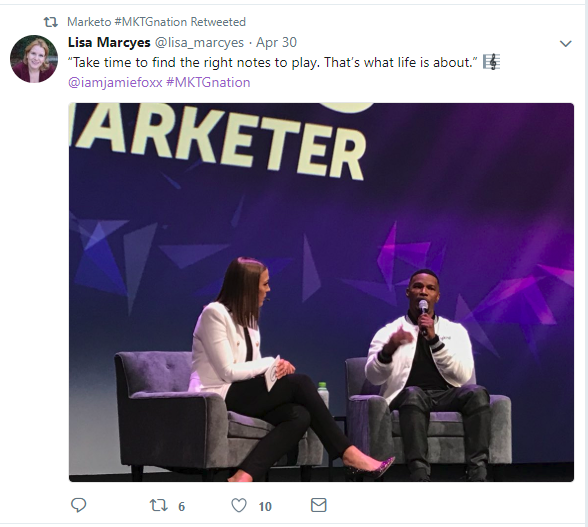 In addition to talks with some of the leading marketers in the industry, Marketo also announced some major company and product updates. 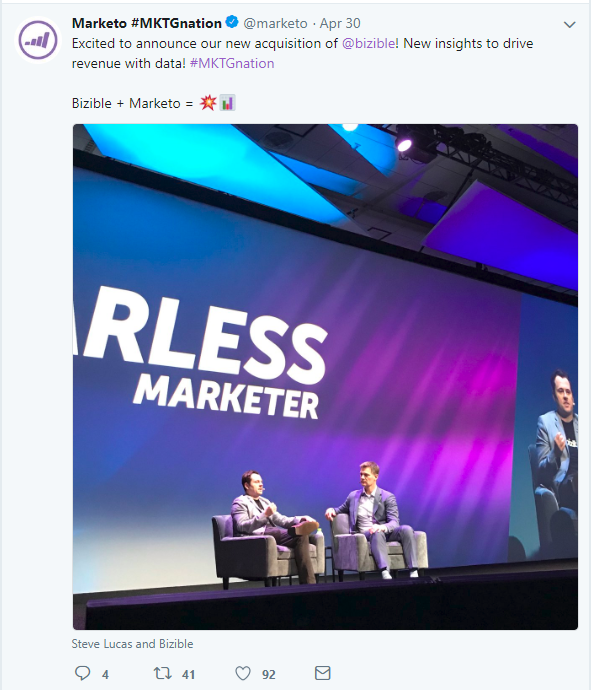 First up, Marketo has acquired Bizible, the B2B marketing attribution and revenue planning software that enables companies to measure and plan for revenue using multiple attribution models. This is a potential game-changer for Marketo and the businesses that they serve. Marketo introduced its next-generation platform, Marketo Sky. This product will be in open beta by the end of May 2018 and contains valuable improvements to the user experience including sleek modern look, shorter workflows, improvements to platform speed, collaboration capabilities, tagging/labelling, and visibility into real-time changes across a team, plus much more! 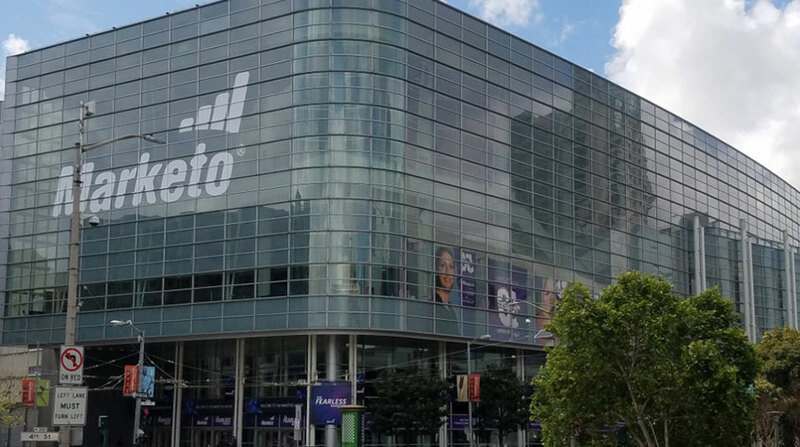 Read our Day 3 recap to get an in-depth look into the new Marketo Sky. 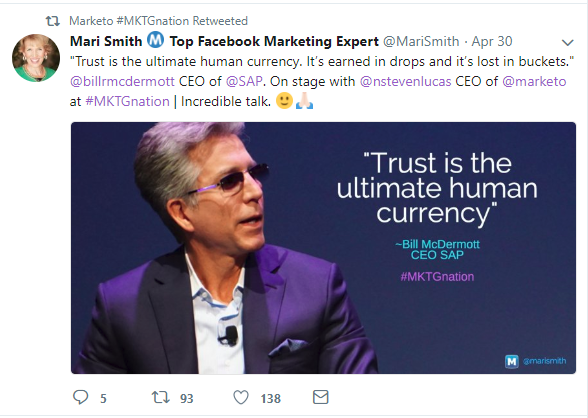 When Marketo announced its acquisition of ToutApp at last year’s summit, we all knew something big was on the horizon! This came in the form of Marketo Sales Engage, which offers a seamless workflow for custom sales engagement, visibility on lead insights between the many marketing and sales touchpoints, and analytics. Sales and marketing practitioners will now be able to gain key insights about when and how prospects engage with email, web pages, and more, in real-time – making follow-ups easier than ever! Marketo announced its partnership with Google Cloud, and it’s AI and machine learning technology to bring Marketo users ContentAI, and Audience AI. The days of spending hours curating content based on user profiles are no more! ContentAI will do the heavy lifting for you and personalize your website content based on the individual user. AudienceAI will assist in expanding your database to find users with similar attributes that you may not have considered previously. Marketo introduced to the world Marketo Performance Insights (MPI). A tool that will allow full visibility into the sales pipeline, so marketers can discover what is driving revenue in seconds. Not only does this work with first touch attribution, but also multi-touch. And, with the acquisition of Bizible, MPI should advance even further in the very near future. Check out the Day 1 Part 2 blog where we’ll look at the breakout sessions and share some of our insights.